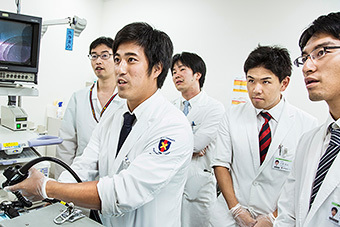 During their clerkship, students are able to participate actively in the clinical medicine process from intake of the patient to medical treatment planning while performing their tasks and duties in English. 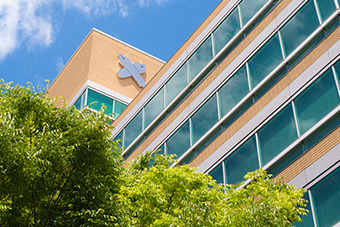 In order to prepare students for their international clinical clerkship, a preparation course is offered in which students practice using English to take patient histories, perform examinations, and carry out other necessary duties. This course is taught by native English speaking physicians. 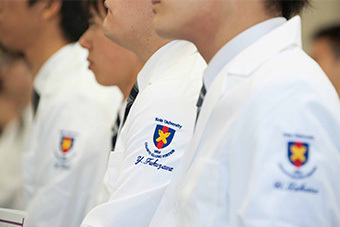 Many student-run medical associations exist at Keio University. 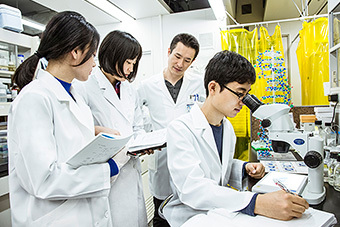 These groups actively promote international exchange and cooperation between medical students, and also plan, organize, and perform fieldwork in locations such as Brazil, Korea, China, Democratic Republic of Congo, and others.